I am directed to refer to Maharashtra Circle’s letter no. 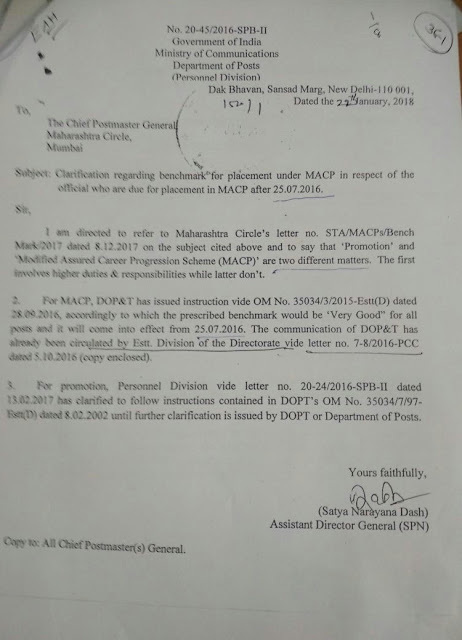 STA/MACPs/Bench Mark/2017 dated & 8.12.2017 on the subject cited above and to say that ‘Promotion’ and ‘Modificed Assured Career Progression Scheme (MACP)’ are two different matters. The first involves higher duties & responsibilities while latter don’t.